Anti-semitism has become "disturbingly normalised" in Europe, as almost 40 percent of the European Jewish community is considering leaving their home countries because they no longer feel safe, according to a survey by the EU's Fundamental Rights Agency published on Monday (10 December). Nearly 90 percent of respondents said that anti-semitism has been on the rise since 2013. Some 70 years after six million Jews were murdered in Europe, Jews on the continent once again refrain from wearing their kippa, the religious cap, and hide their mezuzas, usually hung on doorposts, to protect themselves. 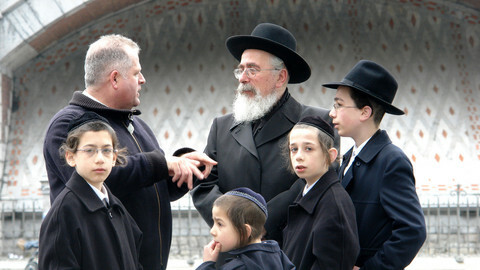 The EU's Vienna-based agency surveyed almost 16,500 individuals who identify as being Jewish in 12 EU countries: Austria, Belgium, Denmark, France, Germany, Hungary, Italy, the Netherlands, Poland, Spain, Sweden and the United Kingdom, where altogether over 96 percent of the EU's estimated Jewish population live. The results are "extremely worrying", justice commissioner Vera Jourova told journalists on Monday. Nine in 10 (89 percent) respondents feel that anti-semitism increased in their country in the last five years, more than eight in 10 (85 percent) consider it to be a serious problem and name it as their number one fear ahead of other social or political concerns. Nine in ten also think anti-semitism is the most problematic on the internet and on social media (89 percent), while 73 percent consider it to be an issue in public spaces, in the media (71 percent) and in political life (70 percent). Common comments Jews are faced with include: "Jews have too much power" (43 percent) and that "Jews exploit Holocaust victimhood for their own purposes" (35 percent). People face so much anti-semitic abuse that some of the incidents they experience appear trivial to them. Physical harassment is also an issue, with 28 percent of respondents have been harassed at least once in the past year. From those who experienced anti-semitic harassment in the past five years, some 79 percent did not report this to the police or another organisation. In Germany 41 percent of respondents said they had suffered anti-semitic harassment in the past year. Seventy percent consider that efforts by EU countries to combat anti-semitism are ineffective. Commission vice-president Frans Timmermans called anti-semitism a "disease." 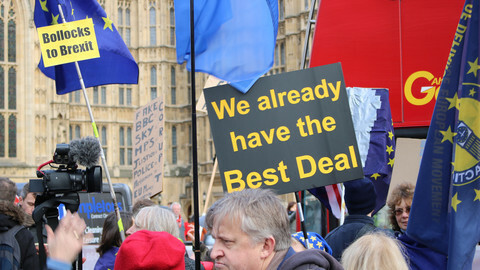 "It is slipping more and more into the political rhetoric, as those who are familiar with that rhetoric in the past are slowly passing away," he said, calling on member states to do more. Timmermans, who runs as the lead candidate of the socialists in next year's European elections, also had a poke at the centre-right, whose lead candidate, Manfred Weber, often refers to Europe's 'Christian heritage'. "Those who appeal all the time to 'Christian' values, should understand that part of the Christian values that we forever distance ourselves from anti-semitism," Timmermans said. "There is no Europe, if Jews don't feel safe in Europe," the Dutch politician added. 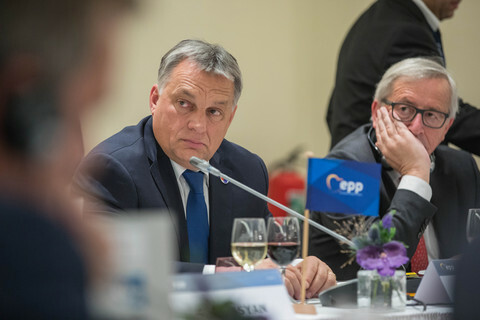 Asked about Hungarian government's stance on anti-semitism, Timmermans had a warning for Hungary's prime minister, Viktor Orban - a hardline anti-migration politician who likes to portray himself as the defender of Christian Europe. 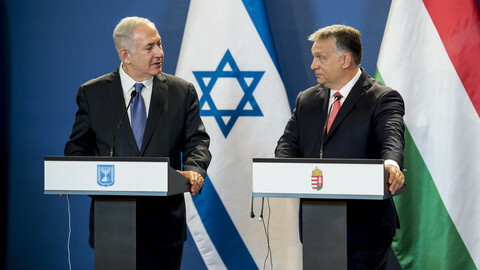 "Since prime minister Orban is so vocal in he wants to combat anti-semitism, and preserve our, as he calls it, Judeo-Christian heritage, I would call upon him to avoid dog-whistle words, to avoid any form of campaigning that could be seen as implicitly anti-semitic," he said referring to a massive campaign by the Hungarian government accusing, without evidence, US billionaire George Soros, who is Jewish, of wanting to transport a million migrants into Europe. While the Hungarian government said it had zero tolerance towards anti-semitism, the billboard campaign prompted anti-semitic comments. 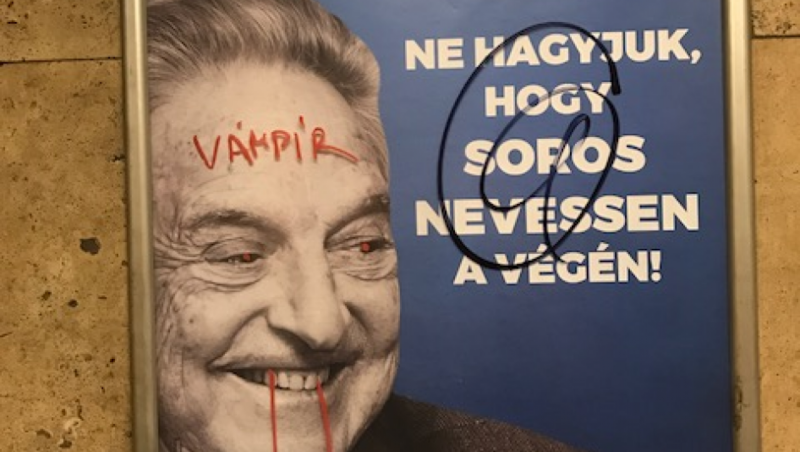 "If that is the impression he [Orban] wants to avoid, he should be clearer how he operates, because clearly some of the campaigns he is been doing have led to anti-semitic responses in the Hungarian society," Timmermans said. 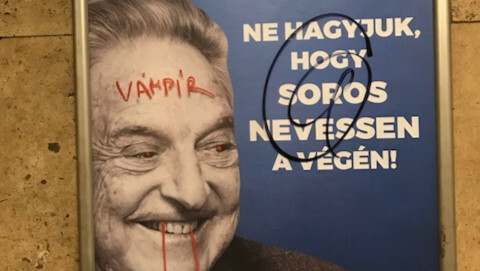 "The campaign against George Soros, although the Hungarian authorities deny that there is any element of anti-semitism in it, the reactions to it by members of the Hungarian public are clearly, strongly anti-semitic," he added. 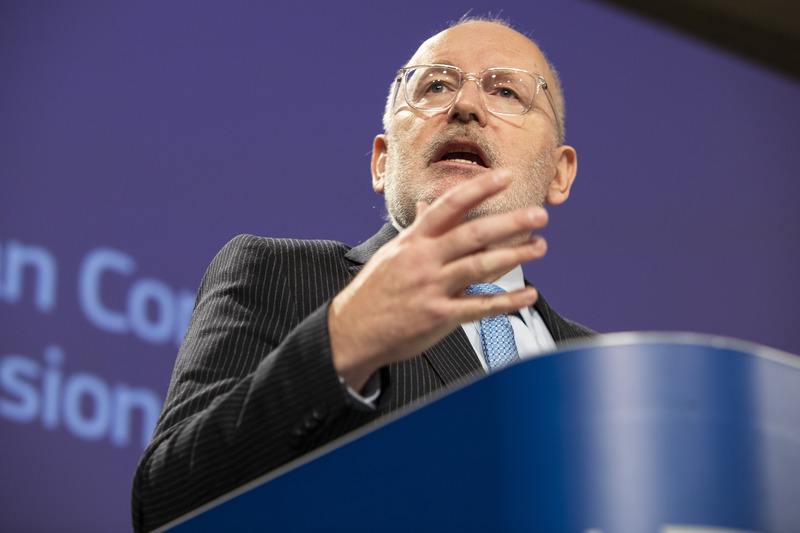 Timmermans said his comments were not finger-pointing, but that he wants to highlight that there is a greater responsibility on public authorities in the face of the rise of anti-semitism. "If identity politics is what is driving your politics, then sooner or later there will be references to minorities, and the first minority to be hit by that will always be Jewish minority," he said. Last week Orban refused to condemn a magazine run by one of his allies that featured a cover that has been widely considered anti-semitic. It featured the president of the Federation of Hungarian Jewish Communities with banknotes floating around him, accompanying an article that accused him of financial irregularities. After the World Jewish Congress president Ronald Lauder called on Orban to condemn the cover, the PM responded in a letter in which he said he was surprised at what he called Lauder's request to limit freedom of expression and freedom of the press. The publishing of the survey's result comes as the EU last week adopted a definition of anti-semitism that critics say could stifle criticism of the policies of the Israeli government. Timmermans acknowledged that a new form of anti-semitism hides behind anti-zionism, criticism of Israel. But he said that does not mean that criticism of the actions of the Israeli government is illegitimate. "Everybody has full right to criticise actions of the Israeli government that are incompatible with the values we stand for, with the position with the international community, that there should be a two-state solution, that [Israeli] settlements [on Palestinian territories] are illegal," he said. He also warned that other minorities should also be concerned by anti-semitism, saying if one minority is attacked, others will be attacked eventually too. "Once the idea that you can target a minority is part of politics, all minorities are at risk," he said, adding: "To mobilise the Jewish community against Muslim community, and vice-versa, runs counter to our principles and create problems for both communities." 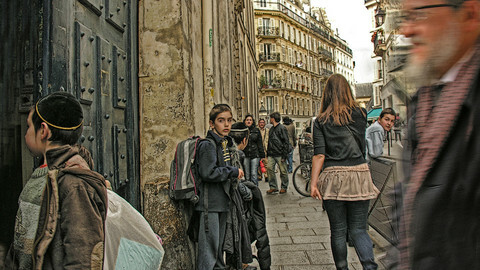 The survey showed that 72 percent of Jews are concerned about increasing intolerance towards Muslims in Europe. 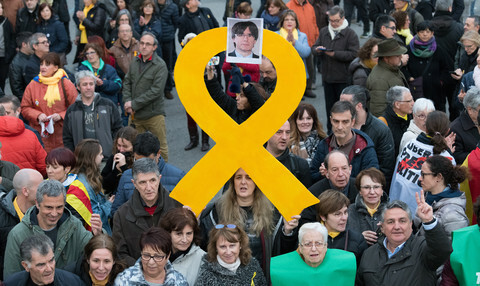 However, in some 30 percent of the cases, respondents said the perpetrator of the most serious incident of anti-semitic harassment in the past five years was someone with Muslim extremist views. 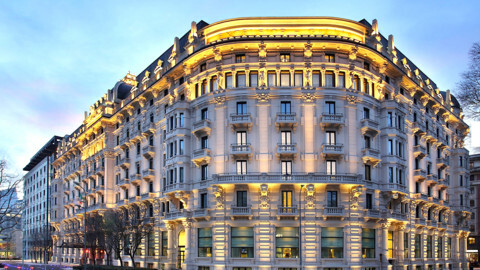 The EU commission has attempted to address the issue in the past by appointing a coordinator on combating anti-semitism in 2016, and establishing in the same year an EU High-Level Group on combating racism, xenophobia and other forms of intolerance, and making large tech companies adheres to a code of conduct to counter illegal hate speech online.